Click on the following link and sign up for an OGT tournament account. 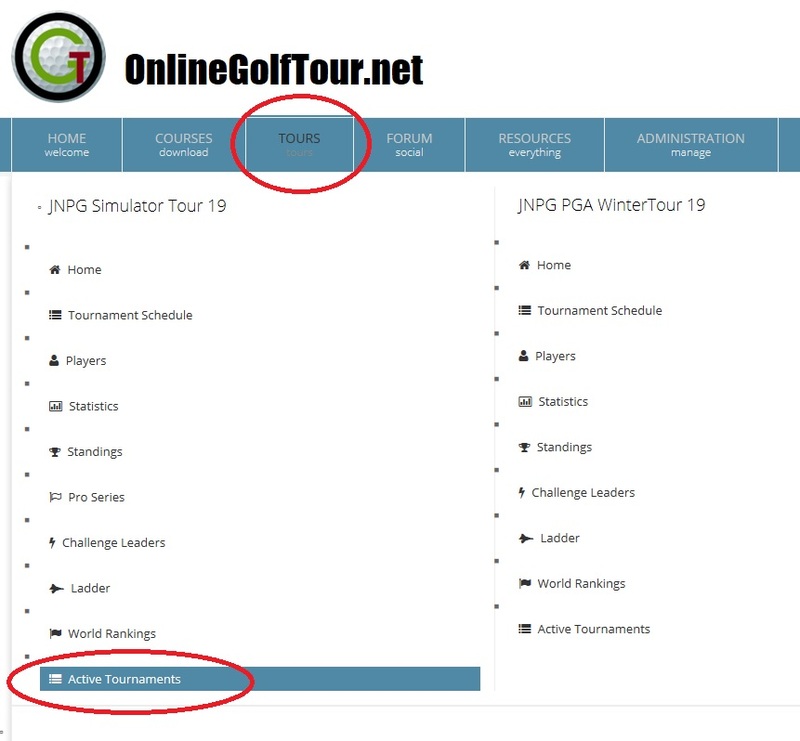 All tour player accounts will require a mandatory $20 - SEASON DONATION to continue to play and login to use our features. The mandatory fee will activate your accounts for 1 season (2 seasons per year). OGT Forum and Designer section will continue to be free as normal. 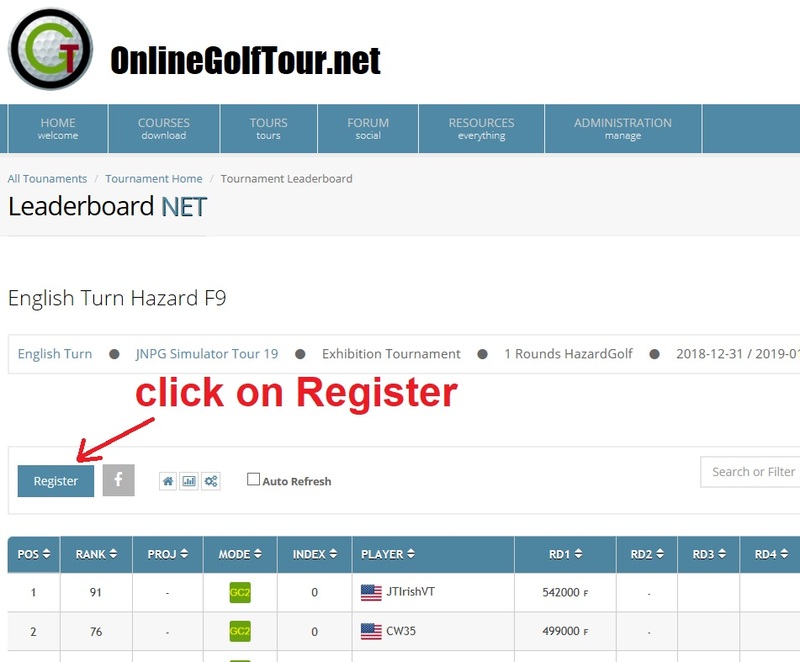 Must register an account at our new simulator tour site. Your forum account will be created for you once you register for a Tour account. If you only wish to have a forum account, contact OGT Support and ask for a forum only account. 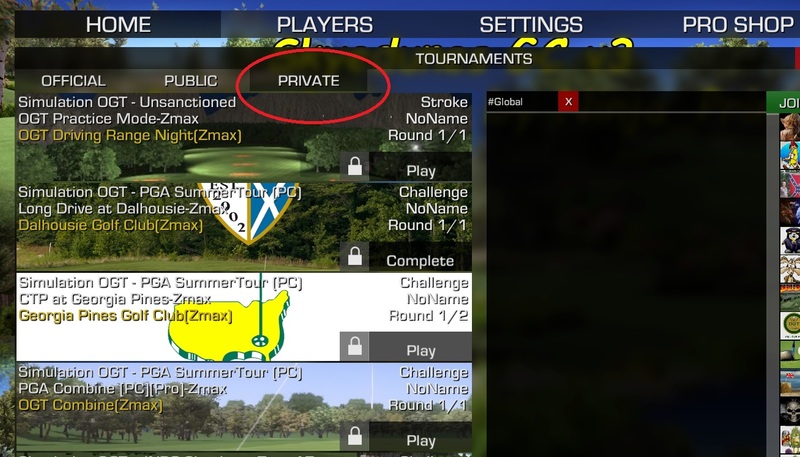 From the game's main screen, click on Tournaments, then click on Private. 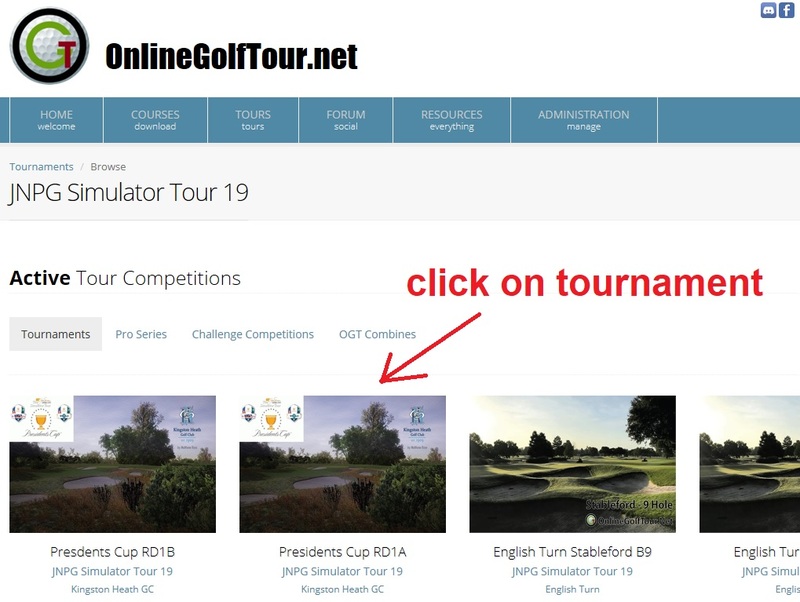 Click on Play for each tournament you wish to play. 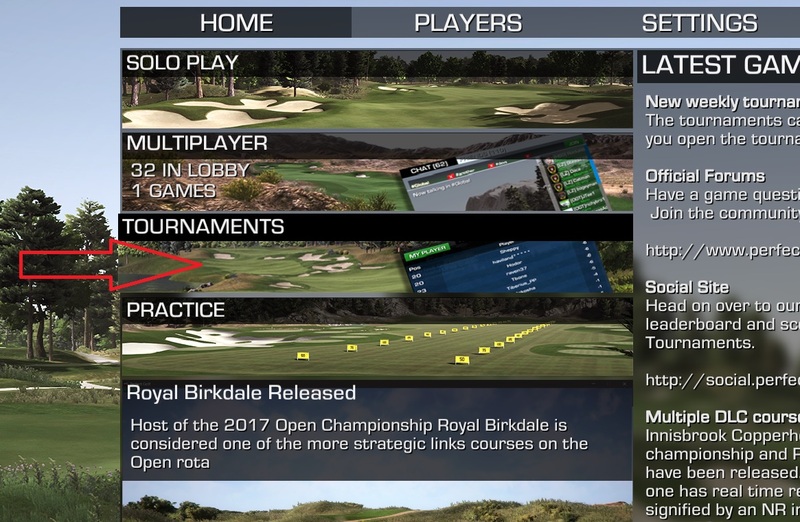 Please set your default players difficulty(Players setting) to match the level of competition you registered for before playing your round. We will set all tour tournaments to the "Any" level. This means when you enter a tournament (solo or multiplayer), the game will use your default players difficulty level. You must switch to another player with the correct difficulty level, that matches the level you registered for. This new method will allow players of different levels to play tournament rounds together. But you must make sure the level you're using matches the level you registered for on OGT. If you played using the wrong level player, your scores will be rejected and you will have to replay your round. 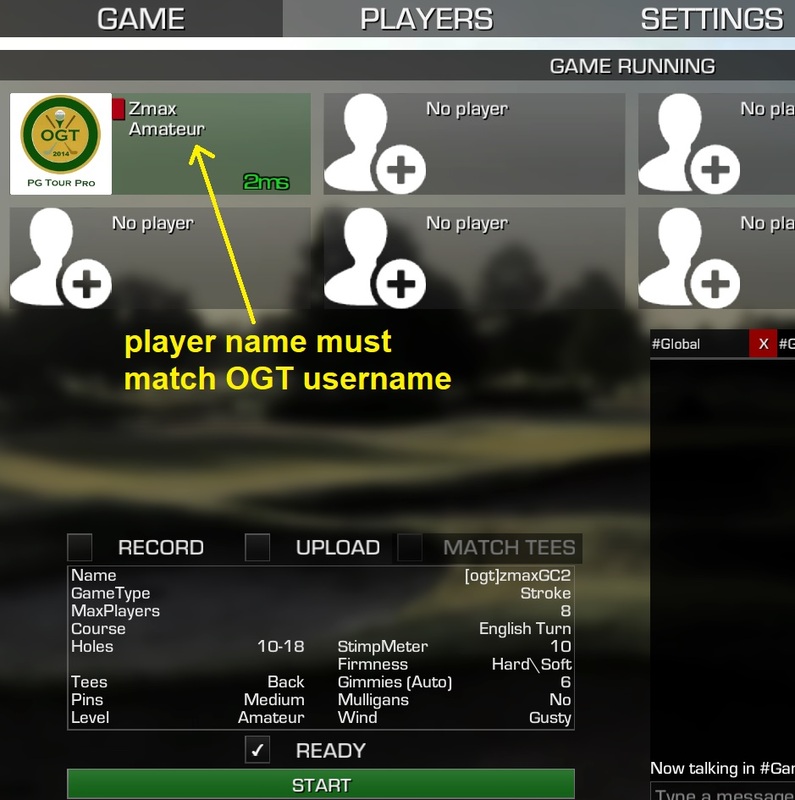 An OGT Player may host a game and invite other players in the same Tour Event and Scoring will be automatic for all players. Only the Hosts round will be auto scored and will count toward the event. But this allows you to grab your buddy to play along with you. 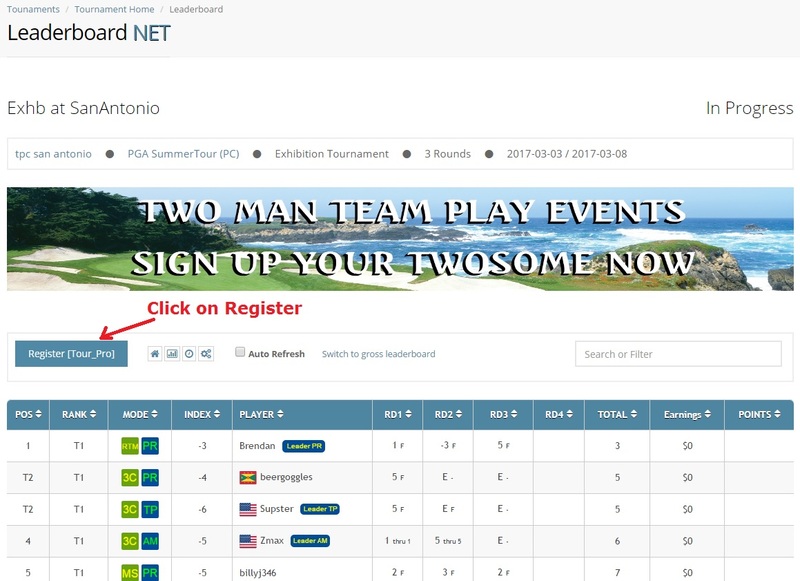 My suggestion is have your buddies join your tour to play together for auto scoring. 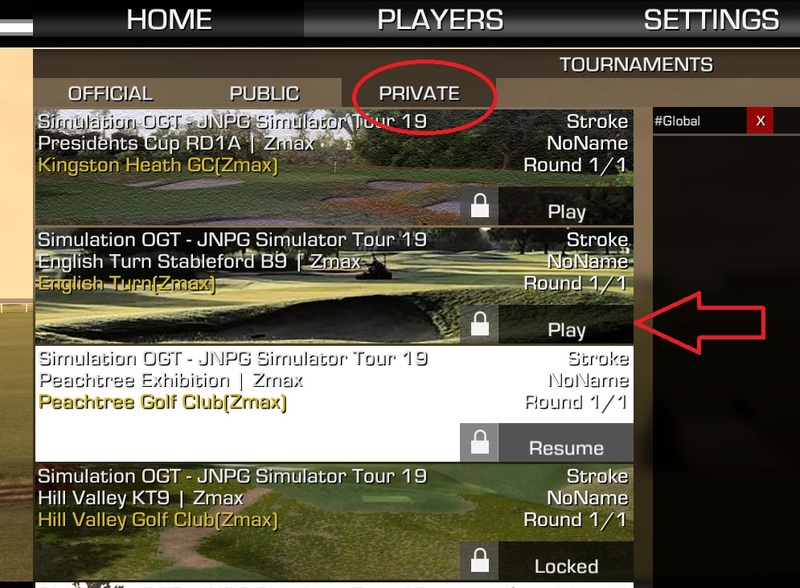 The person with the earliest incomplete hole should host the event and you can play together and it will play all unfinished holes of each player. Any scores that were completed in previous play for either player is locked in and will not change. Player 1 will have to shoot the front 9 along with Player 2 but his F 9 scores are locked in from previous 9 he played.